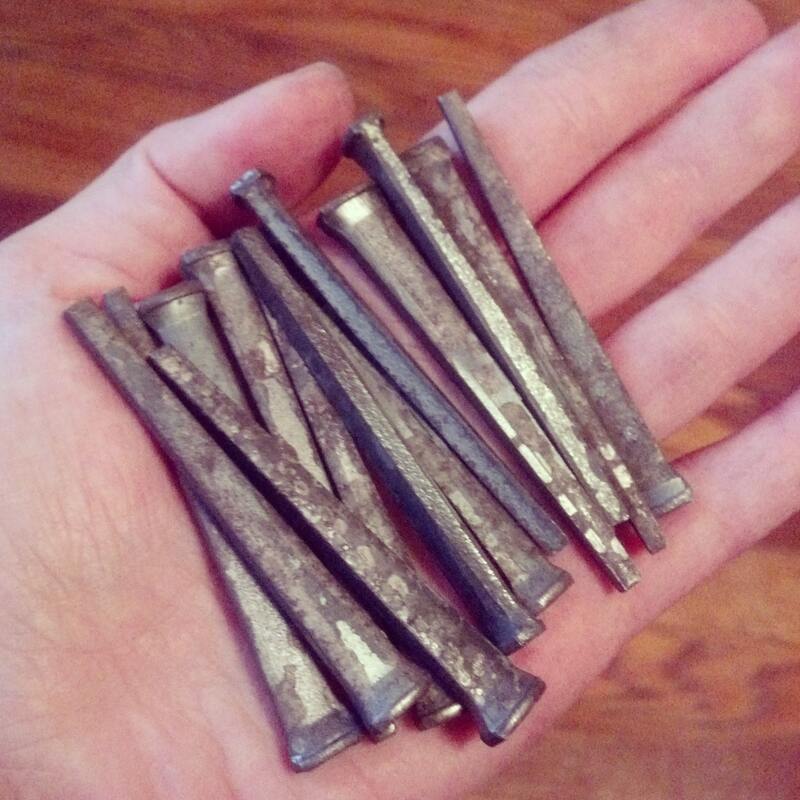 These old nails measure approximately 2 3/8 inches long giving these earrings an almost 3 inch total drop. I have tried to leave as much of the nails' natural old patina as possible so each one will slightly different but I've attempted to "pair" them for the earrings. 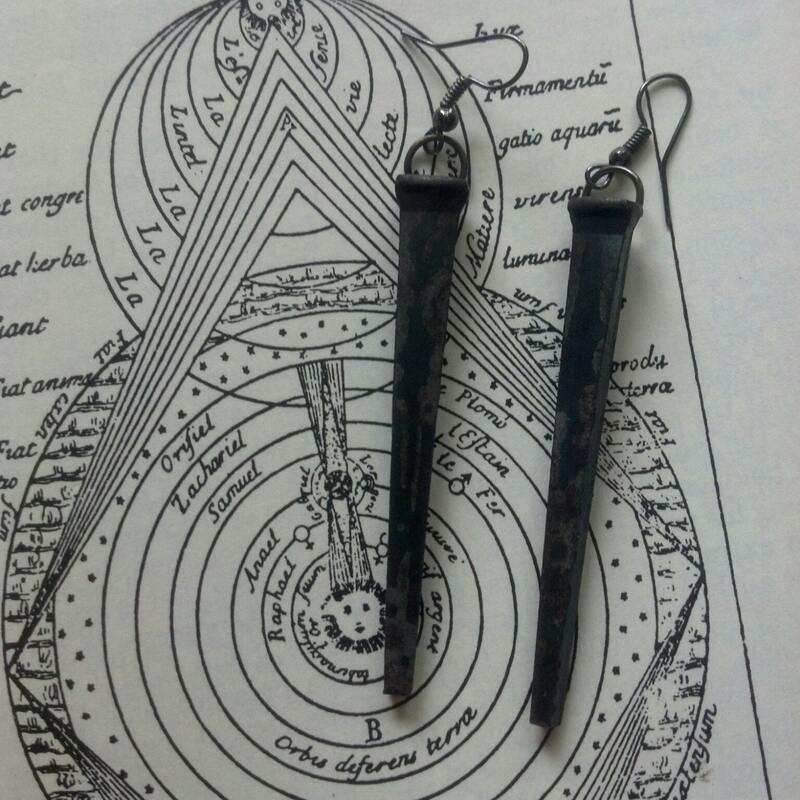 These old iron nails are a little bit heavy and have swing, I wouldn't recommend them if you are particularly sensitive to large earrings.